Hello storage world. I am the property manager of a very large Boat and RV park in Canton, Ga. I am new to this property and the previous manager left things in disarray. I have multiple unidentified vehicles that I need help in figuring out who they belong to. I have already tried the Sheriffs office, the Marshalls office and the Tag Office. None of them could help run the plates. Does anyone have any ideas how I can figure out who these vehicles belong to? Any ideas would be much appreciated. THANKS! VIN # search. 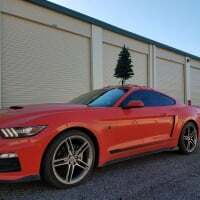 Just like if you were going to send the vehicle through the auction process you would have a VIN # search performed to find out who had any liens on the vehicle to be notified. This SHOULD tell you who the owners are and what you need to know. It's not a free service, I want to say we used to pay $10 a search through our auctioneer company we used in Florida unless you have a friend in a tow service or something where they have access to pull the info for you. Jack at Hammer Down Auctions if you need a starting point. He would run them for all of our properties on the east coast when needed.